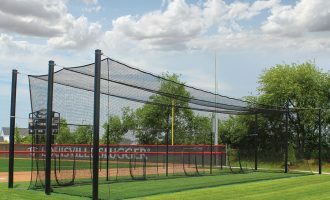 Unlike indoor batting cages, outdoor cages are susceptible to forces that can threaten the structural integrity of the entire system. Depending on where your facility is located geographically, your batting cages may be threatened by wind, snow and/or freezing rain. 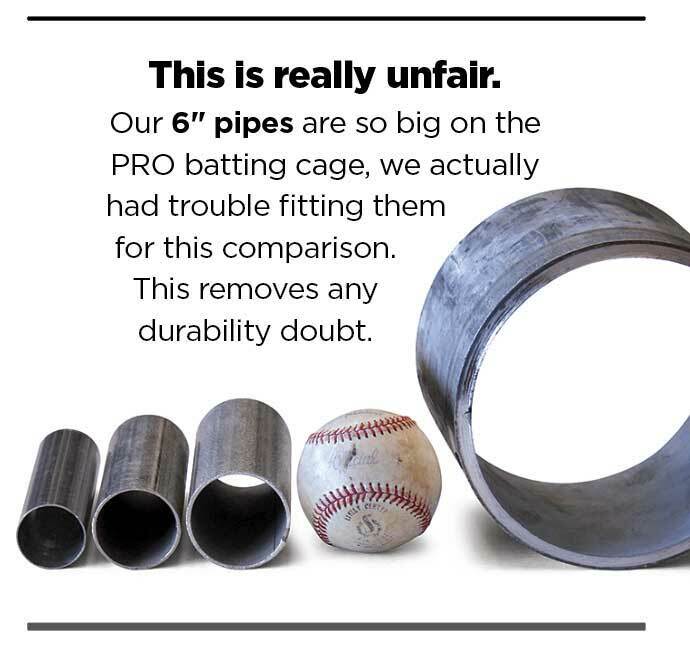 A properly designed and engineered support structure will help to ensure that your batting cage frame has a long and productive life. A good cage starts with “good bones”. When it comes to the support structure, you get what you pay for. 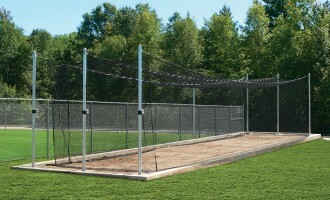 Low cost cages are often constructed using thin-wall steel or aluminum tubing. 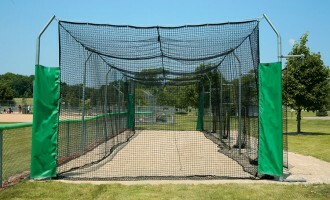 While these cages easily please your budget, they may not perform for you in times of weather-inflicted stress. Beacon has seen numerous cases over the years of competitors’ cages or DIY projects that were constructed using materials too lightweight for the environmental forces they would inevitably need to endure. Beacon has several stories of customers whose Beacon batting cages have stood strong through mother nature’s wrath such as wind storms, flooding and heavy snow. 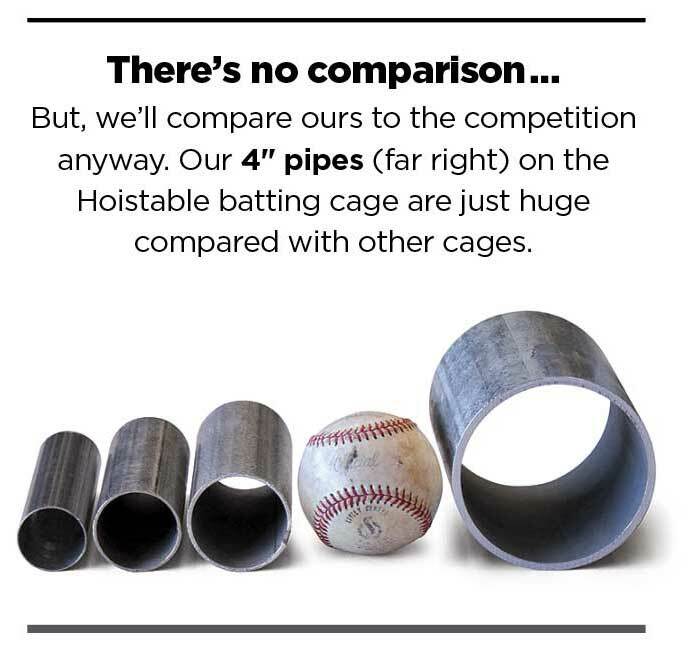 Compare our pipe specs, especially the wall thickness, to the tubing specs of our competitors. 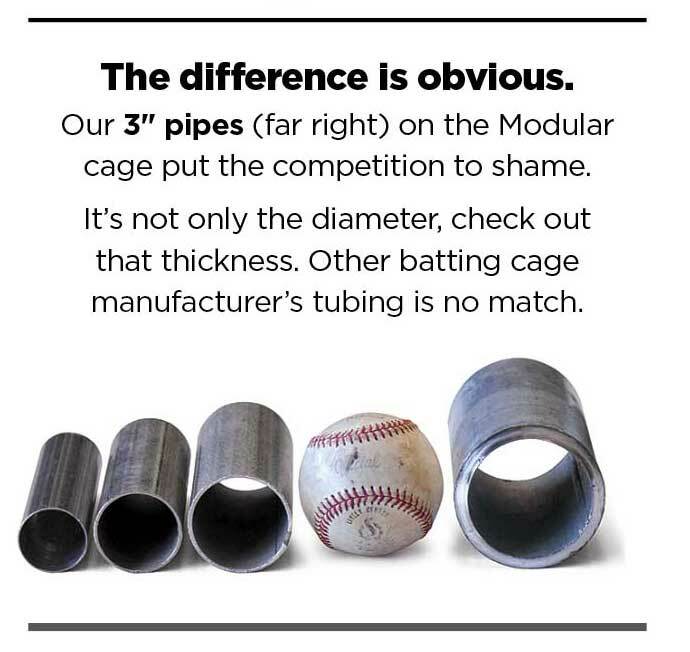 It’s likely only their high-end cages will approach Beacon’s everyday tough standards. 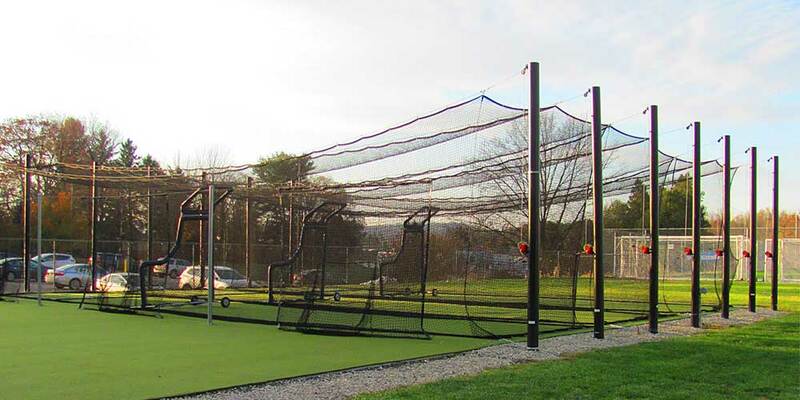 Whenever you are spending money on a featured item for your sports complex — such as a batting cage — be sure to thoroughly do your homework before making your final decision. You want to be right the first time — there may not be a second opportunity to invest money again should the system you choose fail. Do it right the first time.